Infinite Days is an amazing book. At first, It was hard to get into and I felt it was a little slow, but I realized towards the middle that it is all there for a reason. I really liked how the first chapter draws you right into the book and makes you curious for the rest of it. In the beginning, I wasn’t too sure about Rhode. I didn’t like him that much but he grew on me just as Justin did. So many men in this book love Lenah. There is Rhode, Justin, Vicken, and Tony. I understand why she is the Vampire Queen now. 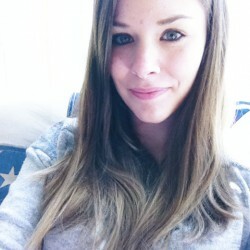 She must be very beautiful. I liked how the language was modern, but it also had to be the language used in earlier centuries because the vampires are very old. I thought it was also funny to see Lenah get used to all the technology that has changed in the past 100 years. 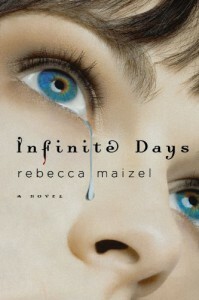 The author Rebecca Maize wrote this book so fantastically. I even checked myself sometimes if I had dull blue veins, which means I have poor blood flow, and my life line on my palm to see how committed I am to life. The book was so informational and entertaining. I can’t wait for the next book. The ending was fantastic and I want to read more. The Cover: I love the cover. It’s been sitting on my nightstand for awhile and everytime I look at it, I really stare at it. I love the tear coming down her cheek. In the book, you will realize why this is significant. I also love that the “f” in Infinite has blood dripping down. It’s very simple, but unique.